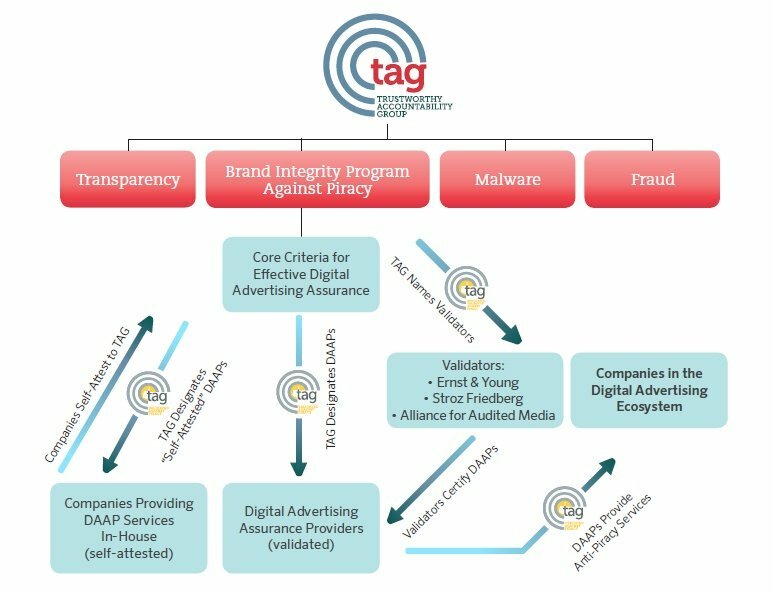 Companies that voluntarily agree to be certified against these guidelines are providing marketers & agencies with a standardized approach that is designed to make buying easier and to give increased control over where ads are placed. Marketers & Agencies will have greater brand safety assurances that ads will not appear next to content that they decide is inappropriate. Violations should be reported to TAG. Complaints should include your name and contact information, the name of your company, the name of the IQG-participating company, the date and nature of the violation, and whether you have attempted to resolve the issue with the company. Such complaints should be sent to iqg@tagtoday.net and TAG will then direct this complaint to the relevant contact at each IQG-participating company. Companies certified against these standards agree to address any Intellectual Property (IP) infringement complaints. Such complaints should be sent to IPcomplaints@tagtoday.net and TAG will then direct this complaint to the relevant contact at each IQG-participating company.